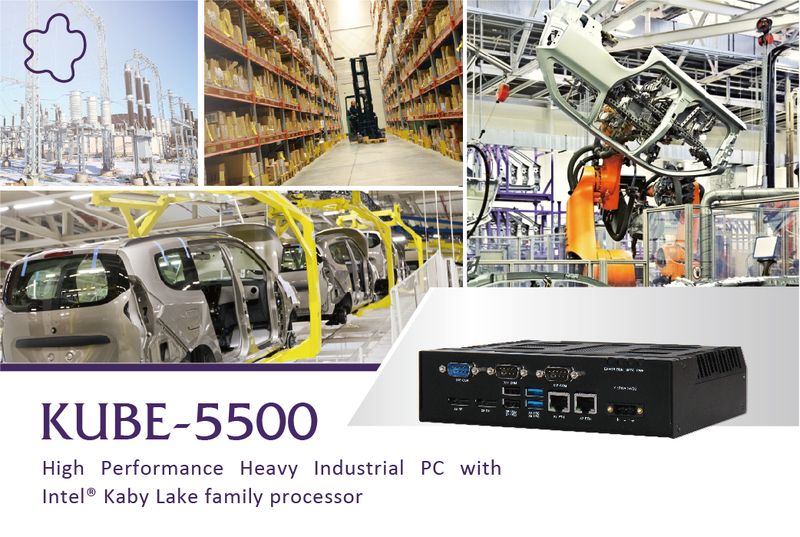 The KUBE-5500 is a high-performance Box PC designed for heavy industrial applications based on the Intel® Core™ i5 7442EQ formerly Kaby Lake processor. Covered by an IP30 housing, the patented thermal solution keeps the system working stably in extreme environment. Nieuw Vennep, Netherlands, Mitwell (www.portwell.eu) a Portwell subsidiary and world-leading innovator for Industrial PC (IPC) and embedded computing solutions, and an associate member of the Intel® Internet of Things (IoT) Solutions Alliance, today announces the launch of the KUBE-5500. The KUBE-5500 is a high-performance Box PC designed for heavy industrial applications based on the Intel® Core™ i5 7442EQ formerly Kaby Lake processor. Covered by an IP30 housing, the patented thermal solution keeps the system working stably in extreme environment. The smart design with edge LED indicator and a removable service panel supports easy monitoring and maintenance. A LVDS connector on the back makes it ready for Panel PC integration. 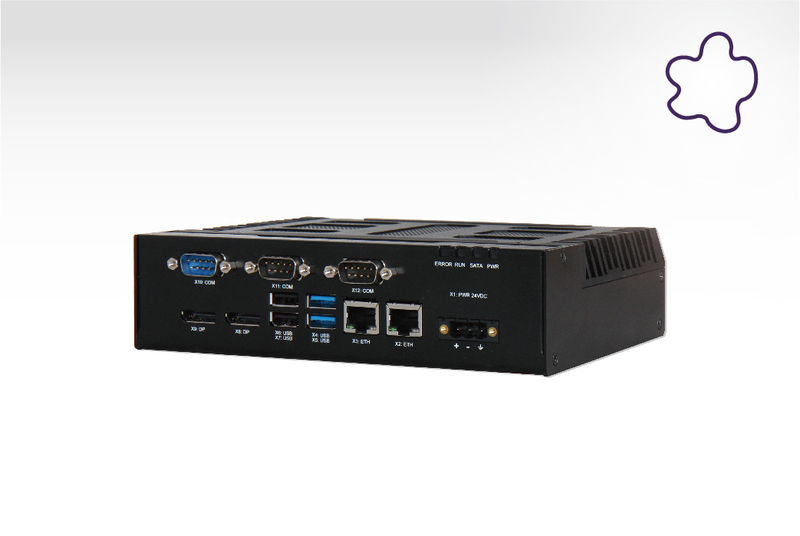 This makes the KUBE-5500 an ideal solution for intelligent computing and communication solutions in different kinds of application in the Industry. Equipped with the 9th generation Intel® HD 630 graphics engine, the system offers three graphic ports in total, including two space-saving DisplayPorts V1.4, and one LVDS interface. Up to 64GB DDR4 RAM, M.2 SSD and Mini-PCIe as mass storage media for operating systems or data and an optional SATA III give plenty of memory and storage options. Various interfaces, e.g. two USB 3.0 and two USB 2.0 ports, offer high flexibility. Three serial interfaces 2xCOM (RS232) and 1x COM (RS232/422/485) are provided for local data collection and sensor- or machine environment connectivity. Two Ethernet Ports 10/100/1000Mbit/s driven by the Intel® i210 ensure an industrial type of communication. A Mini-PCIe plug-in card slot is available for system expansion. For the use in demanding environment, the KUBE-5500 meets the Heavy Industry requirements of EN61000-6-4 (EMI) and EN61000-6-2 (EMS) which includes extended RS, EFT and CS criteria compared to the general Industry standard. This makes the KUBE-5500 a perfect fit for applications like Equipment connectivity, Production process monitoring, Environment Management and Process Visualization.